» Do you like the Grab and Drag system? Do you like the Grab and Drag system? Saurian Developers wrote: Work in progress animations for Tyrannosaurus rex. 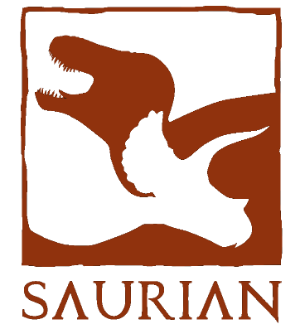 We are Saurian, an independent game project who's goal is to provide the most captivating dinosaur experience ever developed for commercial gaming by recreating the Hell Creek ecosystem of 66 million years ago through the Unity 3D Game engine, giving the player the first true chance to live like a dinosaur. Saurian Developers wrote: Work in progress animations for Triceratops prorsus. Saurian Developers wrote: Work in progress sprint animation for Thescelosaurus. Saurian Developers wrote: You are about to watch footage of dinosaurs and feathers in a video game, very likely at the same time. Saurian Developers wrote: A showcase of our Tyrannosaurus rex control & movement animations using RootMotion. Saurian Developers wrote: Some people STILL weren't happy with our rex after the new sounds, but we think we've got it this time.